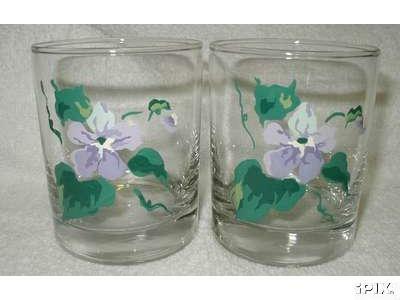 All glassware shown on this page is handpainted and is only sample of what can be done up. So contact us with your requested design and we will do our very best to paint your design. 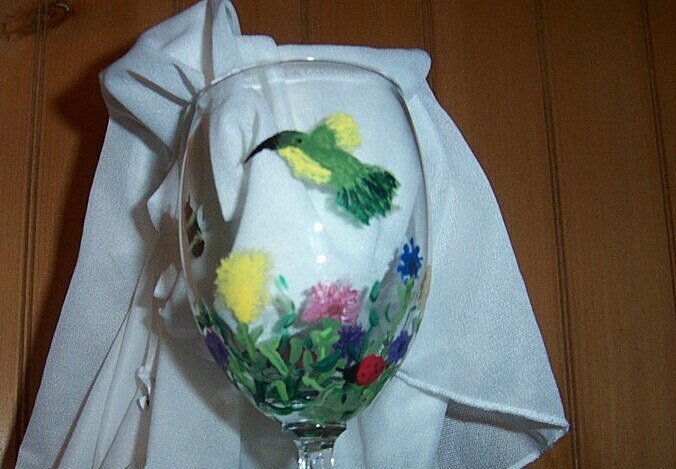 All glassware after being painted is dried for 2 days before being baked, and is baked to the correct temperature, where the paint will not peel off after being used. So cleaning is only needed to be done with mild soap and water. Never put glassware in dishwasher to wash, dishwashing soap is to hard on handpainted glassware and will cause chipping of paint. As with any kind of glassware use extreme care when washing or using since most glassware is made of tiny glass. 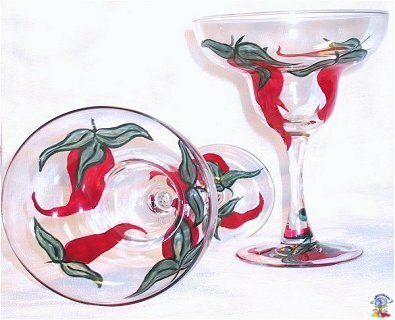 When placing an order for glassware please allow at least 1 week to finish all the painting and sealing before shipment. 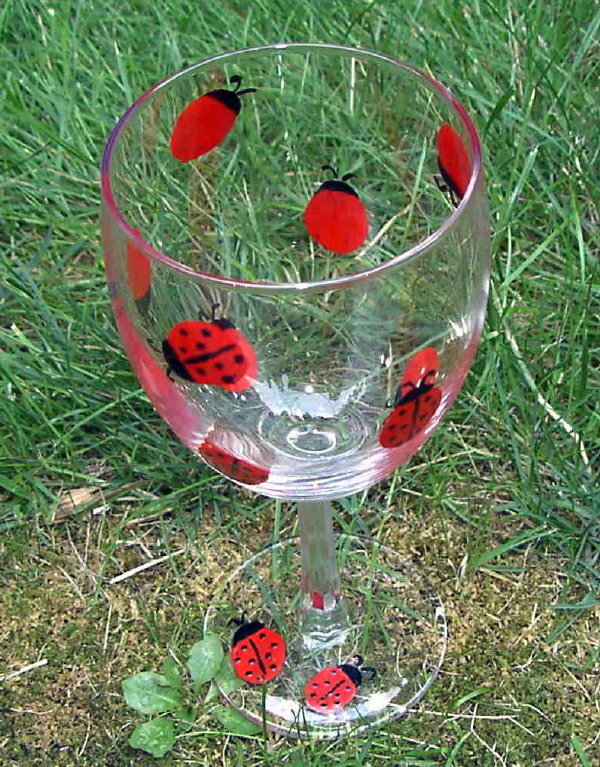 This is only a sample of design's that can be done up on Wine Glasses. Juice glasses are sold in set's of 4 and can be done up in any design. 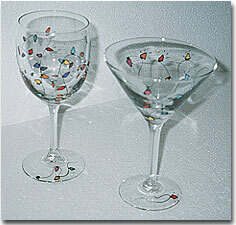 The stemware are sold in set's of 4 and they all can be different design's or all the same design. 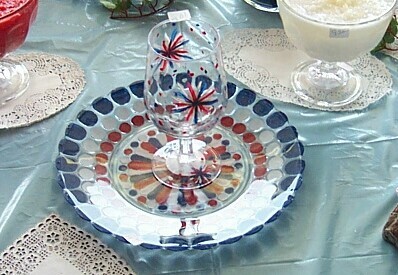 All stemware is sold in set's of 4 and can be done up with any design. 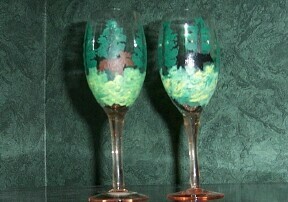 Wine glasses are done up in set's of 4 and any design can be put on them. 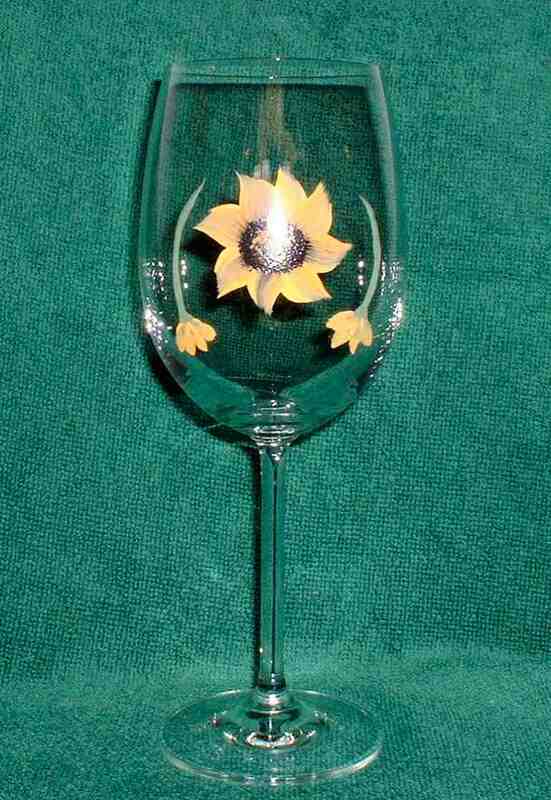 Wine glasses are sold in set's of 4 and any kind of design can be done on them. 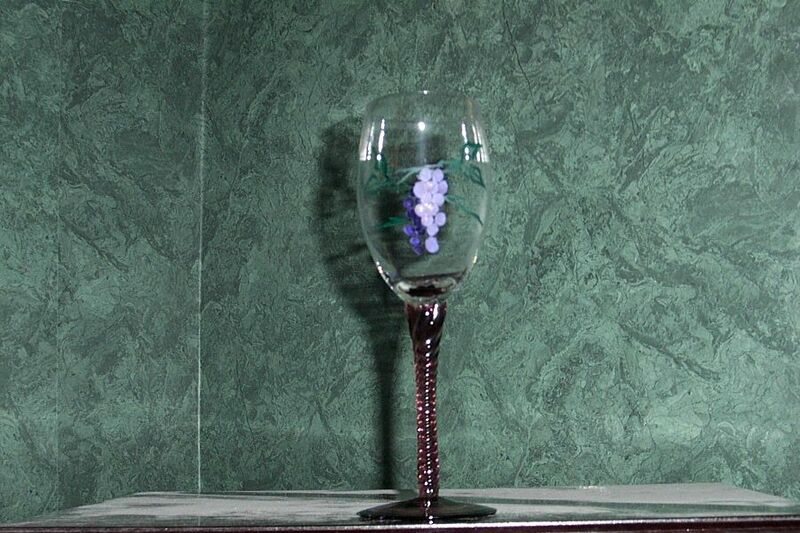 All wine glasses and stemware are sold in set's of 4 and any design can be done on them. 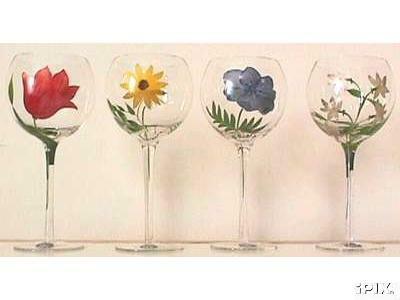 All wine glasses are sold in set's of 4 and any design can be done up on them. 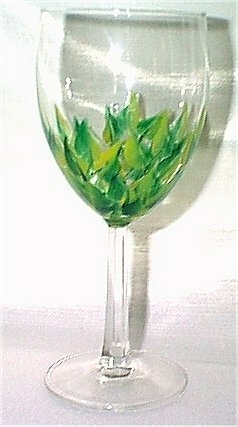 All wine glasses are sold in set's of 4 and any kind of design can be done up even Fall colors. 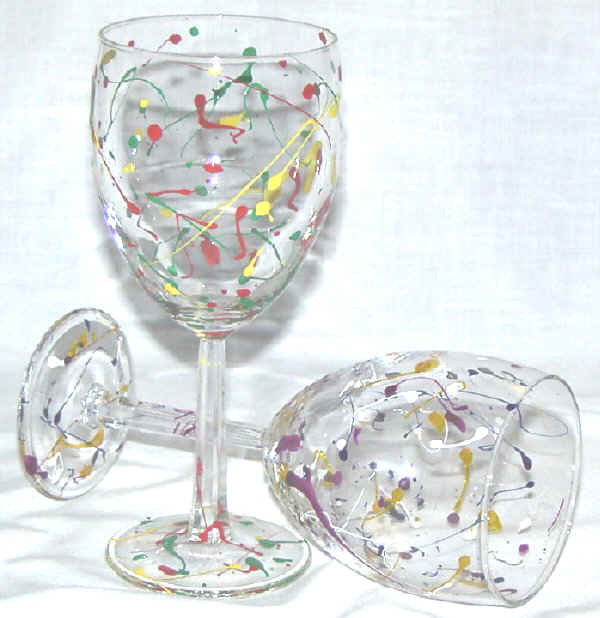 All wine glasses are sold in sets of 4 and any seasonal design can be done up. 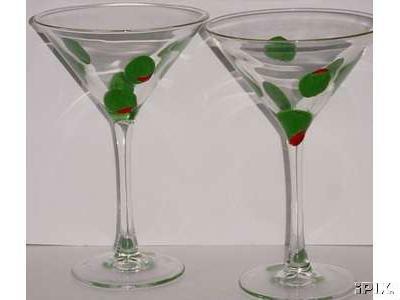 These glasses are sold in set's of 4 and any kind of design can be put on them. These are sold in set's of 4 and any design can be put on them. 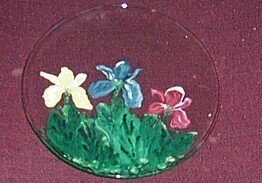 Also, other Glassware & Dinnerware can be painted so contact us for pricing. Prices doesn't include Shipping & Handling cost. When placing an order for glassware or dinnerware please allow at least 2 week to finish all painting and sealing before shipping. Order form, email address and shipping information is located under Contact Us. 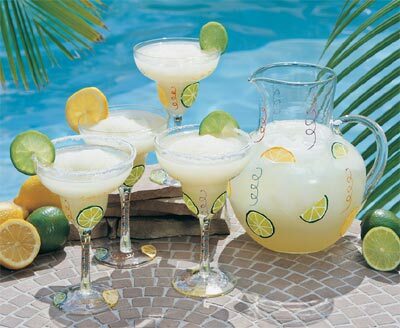 All glassware is sold in set's of 4 or can be brought with a matching pitcher. 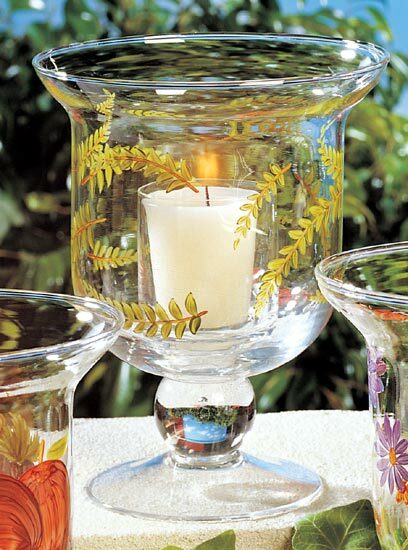 Glassware for candle use, any design can be done on them. 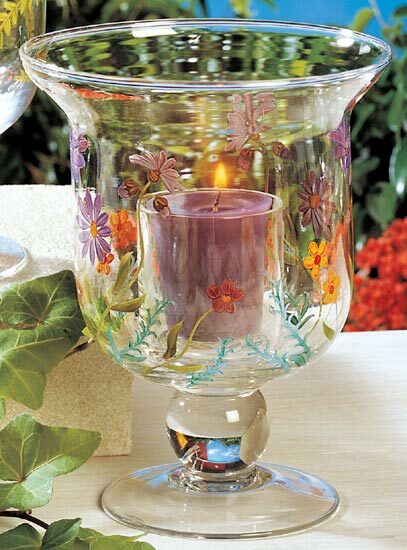 Glassware used as a candle holder, any design can be put on them.